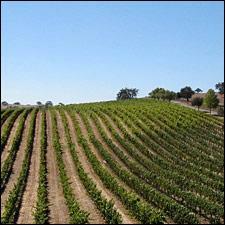 Jaffurs' vineyards were the source of an outstanding 2008 Petite Sirah. There’s only one thing small about Petite Sirah--the size of its berries. But those small berries mean a higher skin-to-juice ratio, with extra tannins that make Petite Sirah wines so big. Petite Sirahs have a lot of personality, with a signature dense, muscular profile and inky dark color. The wines are big and bold (sometimes rustic and chewy), as evident by some recent Petite Sirahs from our blind tastings in the Napa office.